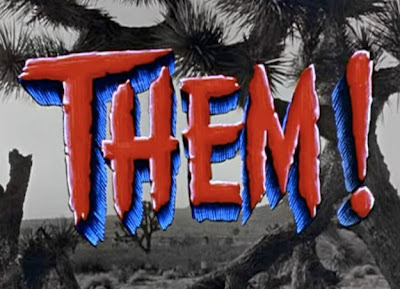 The Horror Digest: Them! 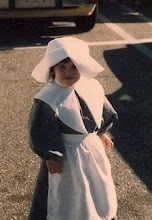 : Kris Kringle Battles Some Ants, And I Talk About Jurassic Park Again! Them! : Kris Kringle Battles Some Ants, And I Talk About Jurassic Park Again! Thank goodness Them! is about radioactive mutated Ants and not Spiders or I just would have had a cow! Sure ants aren't really that scary but when you jack them up to the size of cars and have them make that awful noise then yikes. Ants suddenly become very traumatic experiences. Them! is a great example of how old movies are the shiznit. Those ants? Not bad looking. And plus Kris Kringle is the bug scientist! This movie rocks! Them! is the first giant killer bug movie I believe and is certainly the big daddy moose of films like Starship Troopers and 8 Legged Freaks. Since Them! was made in a time of great anxiety towards the testing and usage of Atomic bombs- it makes sense that one of the masses great fears was the mutation of bugs.... personally my greatest fear would be dying- but to each his own. Them! begins in New Mexico as more of a murder mystery type of movie- as police officers comb the desert looking for missing people. They find a wandering girl apparently mute and in shock but it leaves them with no more evidence than they started with. After bodies are found, and no possible explanation as to who or what killed them things just start getting nutty. Big tracks are found near the bodies, and one of the bodies has enough formic acid in him to kill 20 people. Hopeless and confused they bring in the entomologist- who has a theory that turns out to be shockingly true. While on one of the murder scene sites two giant ants comes foraging! Could it be that the atomic bomb testing in 1945 is responsible for the genetic mutation of these common household ants? Probably. Unfortunately once the nest is found and destroyed they soon find that two Queen ants have fled the nest- flying to who knows where and laying new eggs. Looks like ants could be a much bigger problem than we ever anticipated! I love how if you had no prior knowledge of there being giant ants as the cause- how completely and utterly blown away you would be upon their reveal. 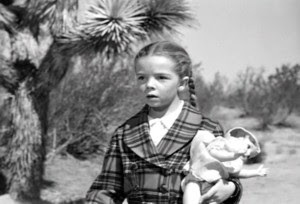 Also, how creepy is that little girl just wandering aimlessly through the desert in her bathrobe? I'm also still wildly confused as to how she survived in the first place but oh well.... Anyways the scenes in the desert are probably one of the eeriest I have seen in an older film. There's something about that openness and desolate landscape that never fails to leave me with unease. Then the sound of the ants caught on the wind like that? Holy cow. Apparently that ant sound was actually a recording of tree frogs- which I can totally understand- but the possibility of a giant bug making a noise like that seems very possible to my panicking mind. In fact when I heard a similar chirpy noise last night, attributed most likely to snow plow backing up or a giant ant- I jumped a little in my bed! I also love the introduction of Kris Kringle as the kooky scientist. 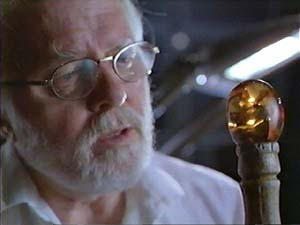 I couldn't figure out why I loved the idea of a little old man that looked like Santa Claus coming in to tell everyone what the 411 was on bugs- until I remembered that John Hammond was the kooky old man that looked like Santa Claus who came to tell everyone the 411 on dinosaurs. 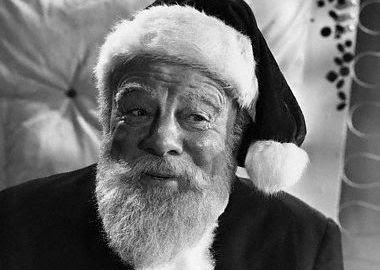 And now for the ultimate surprise connection.................THEY WERE BOTH KRIS KRINGLE IN MIRACLE ON 34TH STREET! Honestly could it get any weirder? Without a doubt Them! 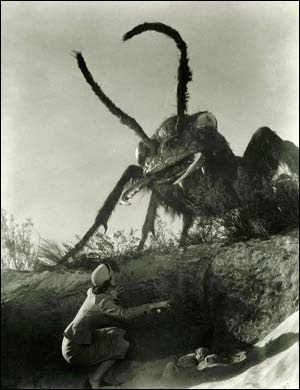 is the rightful winner of best giant bug film out there. The scenes where they check out the nest is somewhat terrifying- and with all those dead ants everywhere you gotta know there is an alive one somewhere. Similarly the scene where all the army jeeps are going through the sewer system, makes you feel really bad for the guy that has to go first. The look of the ants is also something I was just really surprised at. I hate when giant bugs look mutate, think Starship Troopers or even Deep Blue Sea if you want. 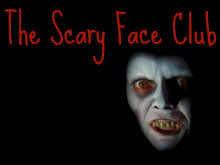 The real fear comes the real factor. I'm going to be much more scared of a giant bug that looks like a giant bug rather than a robotic giant bug, ya know? Which means these ants were perfection. The gross little hairs and antennae? Barf. I would not want to held in those pincher's I can tell you that right now. 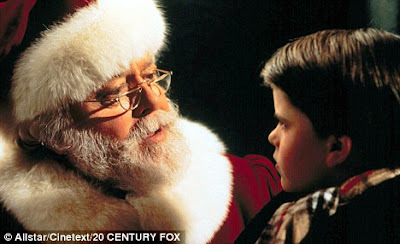 Plus seeing Kris Kringle forget to put his desert goggles on is great! Who doesn't love kooky old men? This just became available on Netflix Instant Watch so if you are in the mood for a good time- and hootin' and a hollerin' at some giant ants, hop on board! You can't deny that the movie still has some power- even with those cheesy lines at the end. 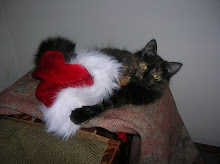 Buy Them! at Horror Movie Empire! Though I have a particular affection for TARANTULA as king of the Big Bug movies, there's no denying THEM! is a bona fide masterpiece. Your point on the "real" factor of the ants is well taken--can you imagine how much the effect would be lessened in a remake where the ants are entirely CG? No, wait, you don't have to imagine it--just watch 8 LEGGED FREAKS again. I NEVER MADE THAT KRIS KRINGLE CONNECTION! Holy crap, is that weird. 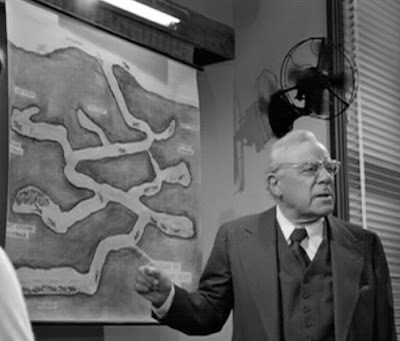 But yeah, this is also the greatest of all giant bug movies, for my money. 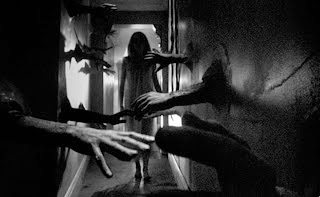 Creepy as hell, and god bless practical special effects monsters.